But who, now, in Yangon, remembers Jamaica’s Bob Marley?Saw Poe Kwar, that’s who.The long, twisted dreadlocks must be uncomfortable in this heat, but the heat seems not to trouble him.“If Myanmar people know me, it may be because I sing of peace. But what about my music?” he asked in a recent interview. 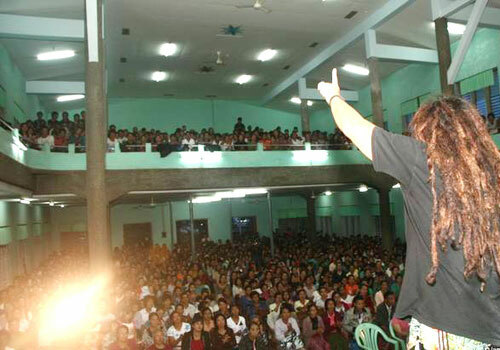 via Myanmar’s reggae king promotes peace and human rights. This entry was posted on Thursday, April 30th, 2015 at 12:06 pm	and is filed under Caribbean News. You can follow any responses to this entry through the RSS 2.0 feed. You can skip to the end and leave a response. Pinging is currently not allowed.